Learning is at the core of the Glasgow Women’s Library’s work. Our learning programmes and resources specialise in and celebrate the histories, creativity and lives of women. We emphasise Lifelong Learning, the process of understanding that your learning continues, and we provide support to women at every stage of their learning journeys. Our projects, events, and activities encourage people to share experiences and learn from each other. We work from the basis that learning can take place through the close identification with the experience of other women, past and present. Our work, like GWL itself, is built upon feminist principles, focuses on, and specialises in working with women, understanding and appreciating the richness of women’s lives and the impact of inequalities on them. We provide a safe learning space where even the most vulnerable women can have their learning nurtured. We recognise and respect diversity in all its senses. The GWL Lifelong Learning team includes a Manager, Production Coordinator and Lifelong Learning Assistant who are responsible for programming a wide range of learning opportunities, projects, exhibitions and events throughout the year. They work closely with other members of the broader team who specialise in work with dedicated groups of learners within our priority groups (specifically, women who are developing their literacy and numeracy skills and BME women). 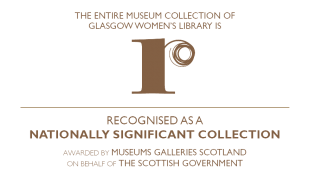 The Librarian, Archivist and Museum Curator are also integrally involved with the delivery and support of learning at GWL and we have a National Lifelong Learning Development Worker and Assistant who initiate and respond to opportunities for GWL to work with women across Scotland. Together the whole team meets three times a year to reflect upon and programme learning across the organisation. For information on how to propose an activity, event, or partnership with GWL please see information on our Working With GWL guidelines.